Advertising Trends that dominated the advertising sector in 2017. Speaking of advertising trends, online advertising has made its presence felt. From 8% of total advertising revenue in 2013, it will double up to 16% in 2018. 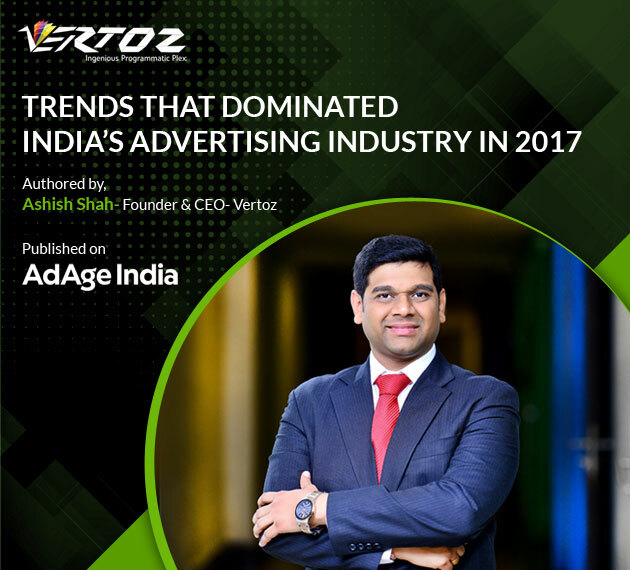 Driven by the RBI’s pro-business policies and positive market sentiments, the share of advertising in India’s GDP is estimated to reach 0.45 percent by 2018. As 2018 awaits us, let’s glance through the trends that shaped the advertising industry in 2017. In order to leverage the creative channels, elimination of repetitive administrative tasks is high on the agenda. Tools like workflow software, project management software, online proofing tools and resource management software, enable advertisers to navigate through multiple projects and heavy workloads. They also offer better control over innovative undertakings, streamline showcasing work process and marketing workflow. Jio unleashing its super-competitive prices caused data plans to crash to rock bottom. Consequently, the industry witnessed smartphone penetration of up to 89%. Experts augur well for smartphones and internet, both of which will become far more affordable. The focus will shift on creativity and designing campaigns that amalgamate well with the mobile medium. Agile project management came up as an alternative to the hierarchical project management model in response to a dynamic marketplace. Deft methodologies, offer flexibility in scope, face-to- face collaboration and incremental planning to deliver projects on time. In 2017, experts hope the industry will go agile to stay competitive. Native advertise is a paid advertise, blended seamlessly into a platform’s content to prevent it from intruding the readers flow. With ad blocking on the ascent, native advertising has gathered huge demand in 2017, as brands need to remain visible without interrupting the user experience. 2017 was proclaimed as the year of videos. Reports say that video accomplishes a customer conversion rate of up to 60% because they are fun and simple to access. Similarly, live streaming offers a real time brand experience. To conclude, 2017 witnessed brands wedging themselves firmly in the mobile space to remain relevant.